During a mortgage closing, you will sign a mortgage deed conveying ownership interest in the home to the lender and a promissory note stating that you will repay the loan according to the lender’s terms. The lender usually holds the promissory note until you repay the loan, unless there is a transfer or assignment of mortgage. The mortgage deed could be in the possession of the lender or a title company and your attorney will have a copy, but in most cases there is also a record of it at the County Recorder’s office. The lender typically issues you a copy of all mortgage records at closing but if you cannot trace your mortgage deed or promissory note, contact your lender to get copies. Since the promissory note contains your promise to pay the lender the monthly mortgage payment including interest for a specific number of years, the lender usually retains custody. However, if the lender transfers or assigns your mortgage to another lender, submit a written request to the new lender to obtain a copy of the promissory note. In the event that a title company handled the mortgage closing on behalf of the lender, the original mortgage deed is in the possession of the company and not the lender. Write a formal request or visit the offices of the title company with a copy of other relevant closing documents including your identification to access a copy of the mortgage deed and promissory note. Alternatively, you can contact your attorney to get a copy of the documents. This option is only available if you retained your own attorney to draft the deed and handle the mortgage transaction on your behalf. Just like the title company, the attorney will have a copy of all the mortgage closing records. Ideally, the records are in your file at the attorney’s office. However, if for some reason you cannot get in touch with your attorney or he lost his records through an unfortunate mishap such as a fire, you have another option. 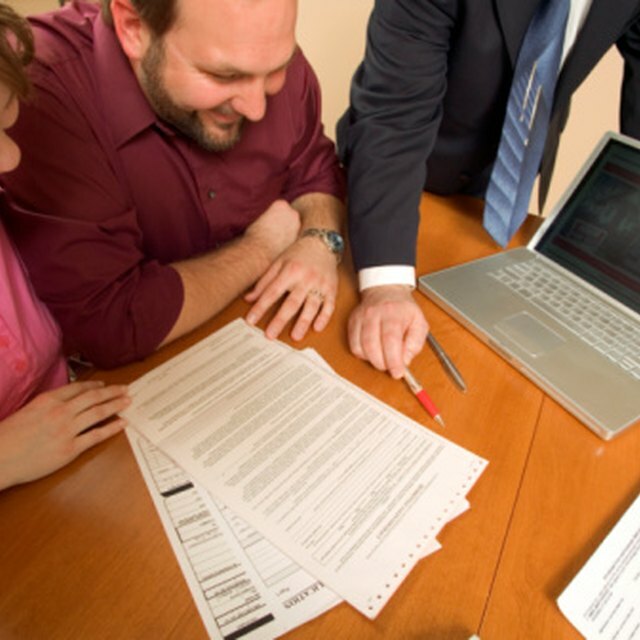 After closing a mortgage transaction, the lender or title company presents the mortgage documents for recording at the County Recorder’s office, which makes a copy and returns the original to the presenter. Most county recorder’s offices are now online, so you can search the database using your name, date of recording or type of document and request a copy of the mortgage deed. Alternatively, you can visit the office, conduct a physical search and pay to get a copy certified in person or by mail. In some states, however, recording the promissory note is not legally required, so you cannot always get a copy of it at the office.